As new reality shows moved into 7:30 timeslots, many viewers decided to switch to ABC. ABC led viewing from 7:30 to around 9:15pm last night with its primary channel eclipsing Nine and TEN. Australian Story and 7:30 won the early evening slot at 769,000 / 698,000 respectively ahead of Bride & Prejudice debuting at 633,000. A lengthy Family Food Fight at 411,000 and Blind Date at 347,000 followed. Four Corners enjoyed a surprise win over Have You Been Paying Attention? at 721,000 vs 683,000, although TEN’s show still topped the demos. Media Watch followed. Wanted‘s double finale led from around 9:45pm but will it be enough to land a renewal? Elsewhere last night a Q&A episode at the pop-up Globe was low while Britain’s Most Historic Towns was best for SBS at 266,000. 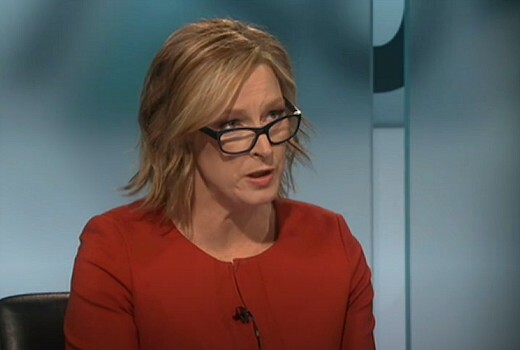 Seven network won the night with 28.8% then Nine 25.3%, ABC 20.7%, TEN 17.7% and SBS 7.5%. Seven News was #1 for Seven with 979,000 / 973,000 then Home and Away (663,000), Bride & Prejudice (633,000), The Chase (549,000 / 354,000), and Wanted (400,000 / 307,000). Nine News (891,000 / 878,000) led for Nine then A Current Affair (757,000), Hot Seat (469,000 / 274,000), Family Food Fight (411,000), and movie: Bad Moms (226,000). Australian Story (769,000), Four Corners (721,000), ABC News (716,000), 7:30 (698,000), Media Watch (632,000), Doctor Who (326,000) and Q&A (284,000) comprised ABC’s night. Have You Been Paying Attention? (683,000) led for TEN then The Project (445,000 / 308,000), TEN Eyewitness News (370,000), Blind Date (347,000), The Graham Norton Show (239,000) and Pointless (215,000). At just 56,000 is there any point turning on the Sports Tonight studio lights? On SBS it was Britain’s Most Historic Towns (266,000), 24 Hours in Emergency (178,000), SBS World News (150,000) and How to Lose Weight Well (136,000). 9GO!’s Big Bang Theory rose to 226,000 topping multichannels. Hello David, Any word on “Take Me Out”? Seven have bumped it again from it’s schedule this week to make room for 3 nights of Bride & Prejudice. Is it coming back, or have Seven aired all the recorded episodes? Also, would love to see 30 guys on the panel being wooed by 1 girl (opposite to what we’ve been seeing this far – 30 girls for 1 guy), which I believe has happened in overseas versions. I asked about this a week ago. I believe there is 1 episode on the shelf. No date advised. Hasn’t been renewed as yet which would be a long shot, so that answers second part of your question. Blind Date…could not even get past the promo’s *sigh*…FFF…dipped in and out…it went on forever…I believed them when they said no nastiness….but already much swearing blanked out…and one group lost out on their meal judging because they got to the table a few seconds late…a warning would have been more appropriate… It is not the same this year..I prefered it last year….more relaxed..too structured now…and families cut to just two? No worries, welcome and happy to answer. It usually indicates a second listing in OzTAM numbers. News can sometimes be split into 6 and 6:30 numbers. Or it may pertain to a second episode such as Wanted last night. In the case of News Breakfast the show screens on both ABC and ABC News. Networks can be very “creative” with their coding sometimes, such as Block grand final & Block Winner Announced. Hope that helps! I think the problem with most reality is the frequency and duration. I do not like to commit to 4 or 5 nights a week of reality in any genre for 90 minutes plus a night. 3 nights for 3 hours, would be too much, but gone are the days of airing two episodes a week. I realise that it can be cheaper to make and fills a schedule, but if it doesn’t appeal, can be an expensive problem and leads to viewer turn off. I never watched Wanted, didn’t appeal but 3×120 minutes episodes is ludicrous and the new reality on 7&9 seem excessive, at 90 minutes for B&P based on EPG and 4 nights a week, didn’t know how long FFF went or how often…. Yes, Channel 7’s treatment of Wanted, burning it off in double eps, has not done it any favours. In particular, last night’s finale, commencing at 9.45 pm and finishing close to midnight, surely would have deterred some viewers from watching. Have quite enjoyed it ,especially the stunning remote location scenery. Doubtful it will return though..
Congrats to the ABC! Australian Story was absolutely fantastic last night – deserved the number. Major problem for Nine. FFF is DOA. Tough night at Ten too, Pointless really struggling and Sports Tonight is all but gone. Why air Wanted over 3 weeks as 3 double episodes? And, no, 10.30pm on a Monday night isn’t where Sports Tonight belongs. Good on Ten for trying but regardless of how you polish something it is still, well, you know. Agree about concerns of double episodes. Very hard when a drama wraps at 11pm on a Monday. I would try ST on another night where sport is actually happening. I still think the best slot would’ve been 6pm Sundays but maybe a Friday slot instead of the project? The Project does well in demos usually Mon-Thurs but nowhere to be seen most Fridays as all the young peeps go elsewhere, so should maybe schedule something more complementing of the living room. Personally, I’d be going Sun 6pm out of the news. And possibly 9.30 or 10.30 on a Friday night. Interesting thoughts on The Project, I’d never considered that, possibly a truncated Project at 6.30pm into ST at 7pm? ST is a catch-up for video highlights of the weekend (the Northern Hemisphere weekend finishes Monday morning our time), plus a bit of news and op-ed. By Tue it’s ancient history and people are thinking about the next round’s games. It costs little, and along with a repeat of The Project, fills an hour until Colbert comes on. By 10.30pm Mon night it’s ancient history! I understand Ten trying to fill out the schedule and all but this clearly isn’t working. It’s a shame, cos ST was once upon a time must watch programming in my eyes but this incarnation is very missable.